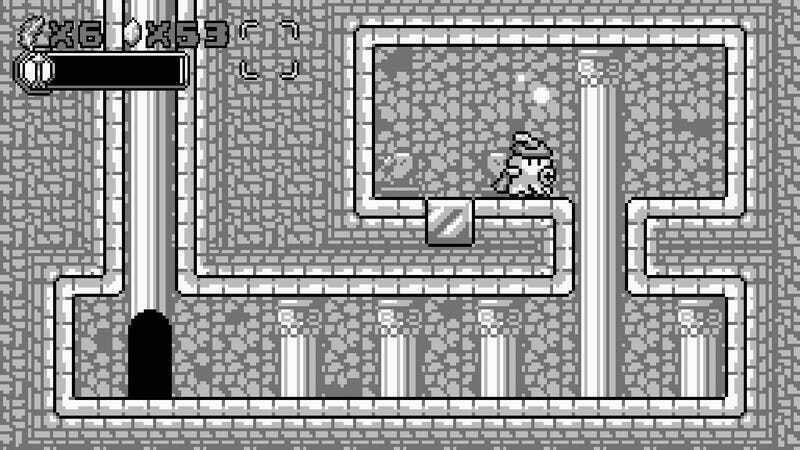 If I didn’t know Save Me Mr. Tako: Tasukete Tako-San was a tribute to retro handheld games, I could easily be convinced it was a long-lost Game Boy classic. Released this week on Nintendo Switch and Steam, the game starts Mr. Tako, an octopus caught in the middle of a war between octopi and humans who would rather see the two species coexist than crush each other. The Octopus Fairy (why not? ), taking note of Tako’s compassion, grants him the power to travel on land, allowing him to spread his message of peace across six platform- and puzzle-riddled worlds. Being a peaceful sort of octopus, Mr. Tako does not kill his opponents. Well, let’s say he’d rather not. Tako’s default “attack” is shooting balls of ink that freeze enemies in place, allowing him to use them as platforms. Frozen enemies can also be pushed off ledges to their death, but that’s up to individual players. Mr. Tako is blameless. You can call him Prince Tako. Mr. Tako is an octopus who wears many hats. As the game progresses Tako unlocks a wide variety of headgear, each granting him special powers. The Heart Hat allows him to take an extra hit before dying. The Prince Hat makes him look cool and gives him the power to shoot arrows out of his mouth hole. In special areas on the game map and at checkpoints during levels, a friendly otter-looking creature give Mr. Tako a chance to swap out hats for a more appropriate model. There are some 50 different hats in the game, so be prepared to stand indecisively next to an otter for minutes at a time once you’ve unlocked a fair amount. Mr. Tako visits the hat guy. The whole thing’s a bit Kirby-esque, but that’s by design. 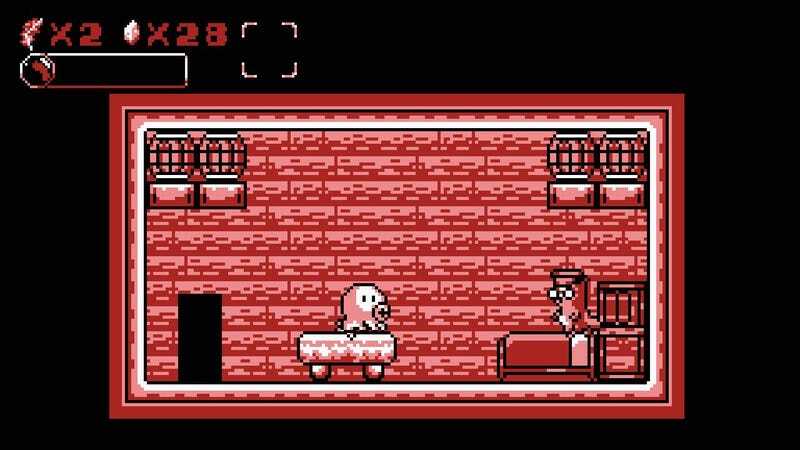 French game developer/pixel artist Christophe Galati spent four years creating Save Me Mr. Tako: Tasukete Tako-San as a tribute to old school handheld fare, so it’s natural the game borrows a bit from the classics. The result is a delightful little platformer that scratches the nostalgia itch something fierce, while still being completely new. I particularly love the colour-changing function. Tapping the left and right shoulder buttons on the Nintendo Switch version I played cycled between a bunch of different colour palettes, just like the Game Boy Color. 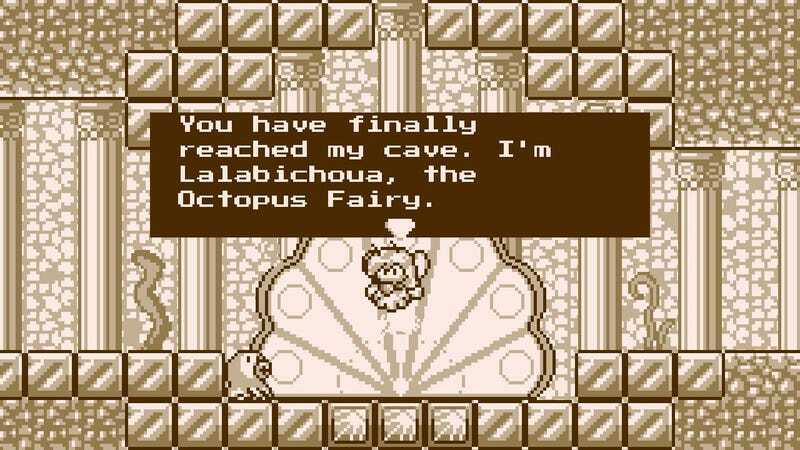 If Save Me Mr. Tako: Tasukete Tako-San were released for the Game Boy 25 years ago, the heroic octopus would have surely sparked a number of progressively higher resolution sequels. In the mid to late ‘90s he’d have jumped to 3D. Who knows, maybe we’d be celebrating Mr. Tako’s inclusion in Super Smash Bros. Ultimate right now, instead of moping about Waluigi. Save Me Mr. Tako: Tasukete Tako-San is now available on Steam and in the Nintendo eShop.